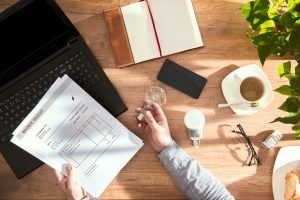 Which one is the best RV deep cycle battery? You need the best deep cycle RV battery for the money to start and run the RV without any hassle on the trip. Try our 10 best RV deep cycle battery recommended by our expert electrical engineers. The battery which will take complete care of your RV called best RV battery, deep cycle battery is more efficient and high performing than normal batteries. 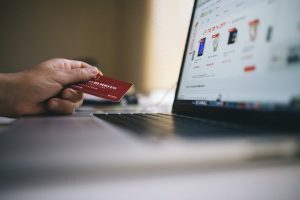 Before buying RV battery there are some important ​information you should know it will help you to decide which one is the best for your RV application. i) Wet Cells Deep Cycle Batteries: Wet cells deep cycle batteries also called Flooded Lead Acid deep cycle batteries based on lead acid chemistry are also famous for RV applications. In flooded cells battery sulfuric acid and water mixer is used inside consisting lead and lead oxide surrounding by an electrode. Benefits of using wet cells deep cycle batteries for RV is low price but also have some disadvantage requires proper maintenance after certain time when the flood acid becomes weak you have to put some acidic water and needs to clean the plates, because of that flooded cell batteries are not recommended for RV usage, you have to loss your valuable time to maintain wet cells battery properly. ​ii) AGM Deep Cycle RV Batteries: Absorbent Glass Matt (AGM) batteries are most popular now a days maximum RV, marine, golf carts users are using AGM technology based batteries. In AGM deep cycle battery is also lead acid type battery where lead acid is the electrolyte is absorbed into a fiberglass mat so it called Absorbent Glass Matt battery. iii) Deep Cycle Gel Batteries: ​Gel deep cycle batteries are not good for RV application, it takes charge slower than AGM battery which is not perfect for RV rider’s. Gel batteries are mainly used in boats, marine on the water surface it is mostly suited because there is only one good advantage of using gel deep cycle battery is waterproof which is incredible. Day by day AGM batteries are using for all the purposes for its user friendly, Eco friendly, maintenance free facility. We discussed about consideration of best RV deep cycle battery in detail below in brief if you want to know all the consideration check it out. 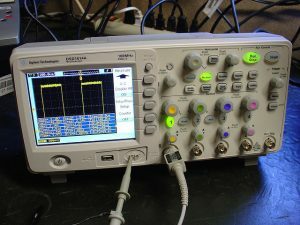 ​Cold Cranking Amps (CCA): C​CA is number of amps at 32 degrees F (0 degrees C) for 30 seconds the battery can produce. Check and make sure how many CCA you need for your RV deep cycle battery. 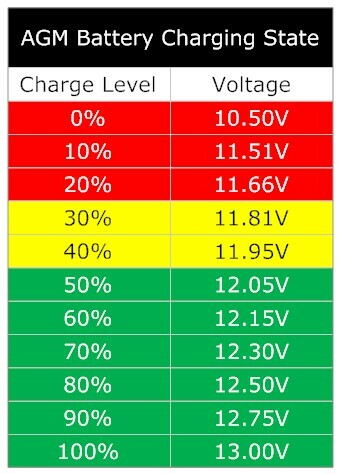 Reserve Capacity (RC): ​​​​ Reserve capacity is the number of minutes at 80 degrees F that the battery can supply 10 amps current until the voltage go down below 10.5V. Reserve capacity more means your battery can supply more minutes make sure how many minutes you need for your RV deep cycle battery. O​PTIMA blue top 8016-103 D34M blue top deep cycle ​AGM battery is ideal for RV application who needs sure starting, maintenance free​ source of power is the best choice. It is has outstanding vibration resistance 15 times more durability, high efficient, faster recharge. 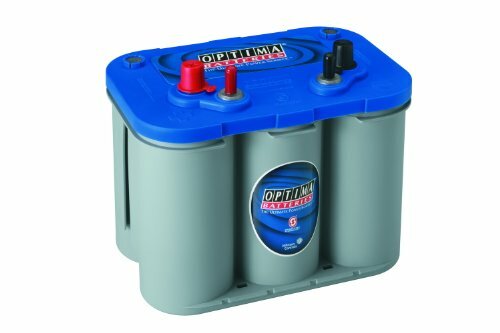 Optima blue top is a high performing AGM battery for your RV exceptional running time than traditional batteries. OPTIMA blue top battery saves your valuable time comforts that tend to drain batteries fast works very well on RV as well as perfect for marine application for boat and trolling motors. This super quality battery makes RV life’s comfort for more fun again and again spending less time on battery. ​Super fast starting and fast charging no need to about charging, some battery take charge very slowly which is not recommended, if you have OPTIMA on your RV just enjoy your moment forget about charging discharging OPTIMA blue top will handle nicely. Let’s talk about safety of blue top OPTIMA it’s spill proof, shock proof no tension for electrical shock and it maintenance free AGM battery will not give you panic some maximum battery needed maintenance on regular basis after certain period which not possible sometime when you are busy could not done maintenance and your battery gone off you will face great problem. Since early 1990’s OPTIMA battery is made with two pure 99.99% lead plates coated of individually spiral wound cells in a precise coating of lead oxide. The manufacture of spiral wound cells over 100 million individual which is built in highest quality and best performing spiral wound battery on the market no one made such accurately as OPTIMA batteries. OPTIMA batteries are reliable during bad season, high durability, high performance and works fine no considerations weather change. OPTIMA is the best RV deep cycle battery on the market there is no competitor which can beat OPTIMA, considering performance, durability, fast charging, maintenance and price you will not get such high quality battery. To know more about OPTIMA batteries. 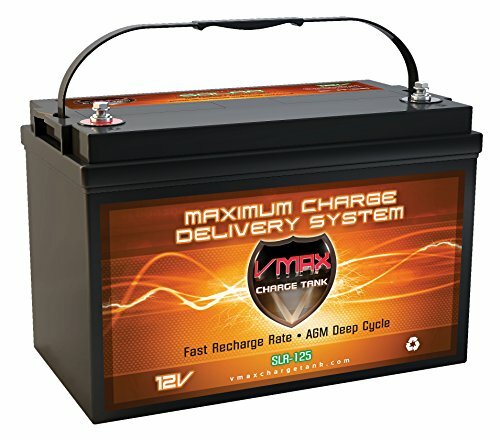 Our second best choice is Vmax AGM deep cycle battery for your RV application high powered, durable, efficient battery. ​The life span of Vmax is just awesome 8-10 years which is excellent for buyer to minimize the battery expense. This group 31 AGM deep cycle heavy battery is capable of 125Ah range ampere hours which is perfect for RV application. Vmax AGM deep cycle is ​constructed with military grade custom made plates make high performing, high durability and efficient. ​It’s an environment friendly battery no negative impact on nature and safe for human no dangerous fumes or gas emission at operating time. 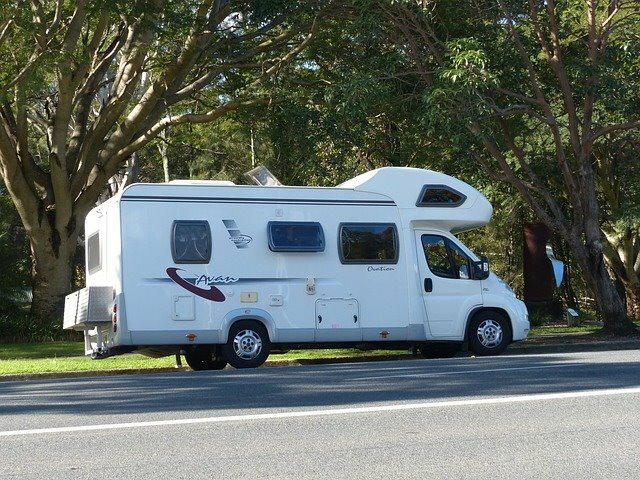 ​Well constructed, little bit heavy but hold juice all of your RV demand will full filled by the model of Vmax. There is a great fame of Vmax of AGM deep cycle battery on the market for RV, marine, trolling motor battery besides OPTIMA. ​It battles with OPTIMA but OPTIMA our first choice for many reasons it is got second place some people love it more than OPTIMA OK that’s their choice as expert Vmax is our runner up deep cycle battery for RV. Vmax is an ideal and popluar brand of AGM deep cycle battery on the market it became popular by its service and quality not by our review you can check yourself we happy to introduce to you such high quality brand deep cycle battery. XS Power D3100 is our third choice AGM deep cycle battery for RV usage. ​This battery is most famous for racing car usage although we pick it up on third position because it is high efficient RV ready battery which capable of supplying high CA of 1360 and 110Ah ultra low internal resistance battery. 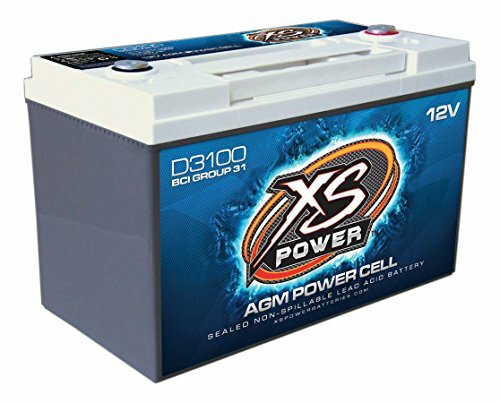 XS Power D3100 is an extra ordinary super power AGM deep cycle battery, the electrolyte of this battery is suspended by fiberglass. ​If you say which one is the best stylist battery answer is XS Power battery is favorite choice to people for high classy stylish design high performance at the same time. It is completely vibration resistant, valve regulated, spill proof and shock proof battery no issue with environment and no dangerous gas emission. ​You can mount the XS Power battery almost any position wherever you need to set up. Final verdict for XS Power deep cycle battery mostly uses on racing cars but why? Because racers have faith to XS Power battery donot be confused it is not only designed for races only it’s also ideal for RV we just give you the reference by racers usage to gain your faith. OPTIMA red top deep cycle AGM battery is specially designed for automobile to solve starting problem of your vehicle with reliability. We already saw an OPTIMA battery which is our number 1 choice, second-third choice are different brand. But OPTIMA took place with its dignity, reliability, performance and most important is public choice by using. OPTIMA Red top is ideal for RV, SUVs, trucks, street cars etc vehicle specially constructed to use efficiently on vehicle and named this model of battery is race proven of road. ​OPTIMA is spill proof, ultra internal resistance, 15 times more vibration resistance, strong starting burst, maintenance free double life battery best choice of RV user’s. ​The reputation of this red top battery is unsurpassed for RV usage the most common cause of battery failure is identified and designed specially by OPTIMA to overcome road run problem with the popular red top model. 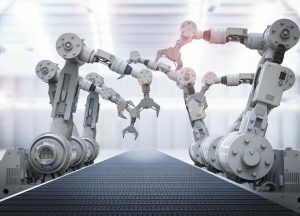 ​​OPTIMA did not buy their reputation they gain it by supplying with high quality individual spiral wound over 100 million 99.99% two pure lead plates great efficient long life high performing battery. OPTIMA is the first choice for vehicle owner ideal for automobile application during bad weather when you need most OPTIMA will not betray you, you can trust on it. Odyssey is the another name of best deep cycle battery for automotive using purpose. It has 950 cold crank amp and 145 minutes reserve capacity which is ​incredible for RV application. 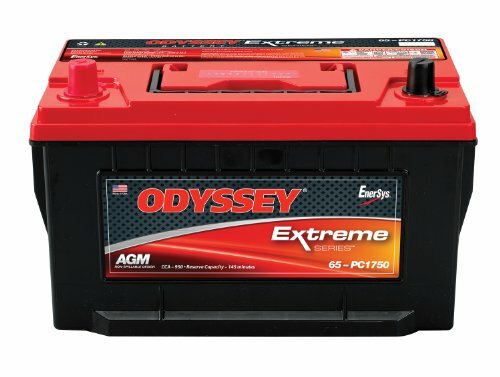 Odyssey has a longer service life 3-10 year double or triple comparing with other brands on the battery market. It is designed to protect high impact shock, vibration resistance, mechanical vibration and non spillable. ​Odyssey recharges faster than conventional batteries, have longer life 70% more than traditional batteries, up to 400 cycles at 80% depth of discharge, it is capable of 100% recharge within 4-6 hours and high stable voltage for longer period of time. ​​​​It can be mounted in any position you need to set up the battery because it is flexible and light weight only 58 pounds. 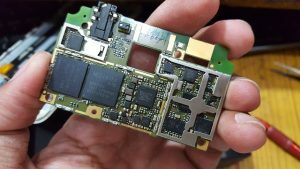 Most of the research of Odyssey got they got more better then they expected they will use this model again after damaging this model after long time they became great fan of Odyssey by its excellent service. 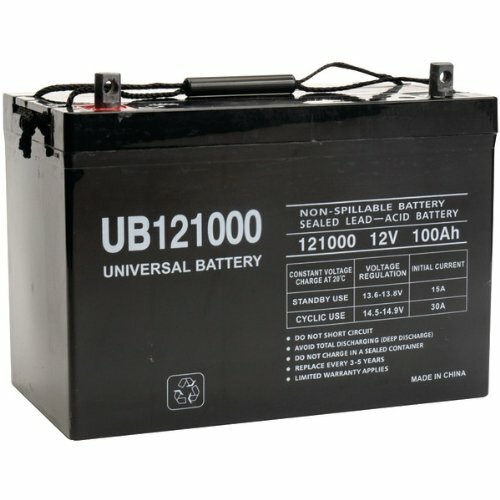 Here is another deep cycle battery UB121000-45978 from our best ranking list. Universal AGM battery offers a high performance to power your vehicle smoothly on the road. It is 12volt maintenance free battery so that you do not have to worry about other stuff when using it. Also takes a little time to charge itself though you can do it night time that’s almost people do for charging. The battery comes with 100Amp hour and shocks and vibration resistant. With 60lbs weight you can mount it in any position conveniently that’s a good privilege of having Universal battery. ​​The dimension of UB battery is 12.17 inches x 6.61 inches x 9.16 inches​ which small in size and handy. Over all good battery for your RV or other vehicle the battery supports with the ultimate package you need to run. Mighty Max deep cycle AGM battery is our next candidate for RV application reliable, durable, efficient longer life span high performing battery you needed most in your vehicle. 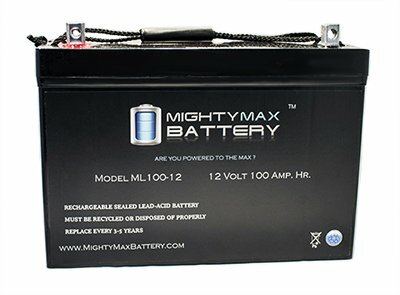 Mighty Max ML 100-12 series is a 12V sealed lead acid (SLA) or AGM battery no need to maintenance just buy and use. No extra material addition needed factory activated AGM battery, no water addition required. ​​​Zero adding of fluids comparing with flooded wet cell batteries, ​Mighty Max maintenance free will give you full release from tension of frequent servicing of battery. Mighty Max is high performing deep cycle AGM battery in high and low temperature with high discharge rate and deep discharge recover. It completely spill proof, shock resistant, vibration resistance, wide operating temperature battery will take care of your RV full support. You can mount ​Mighty Max easily where you need any position, your RV life will go easy with this heavy duty deep cycle battery. Might Max absorbent glass mat valve regulated superior performance is ideal for indoor and outdoor environment without any maintenance or leaking providing super efficiency. 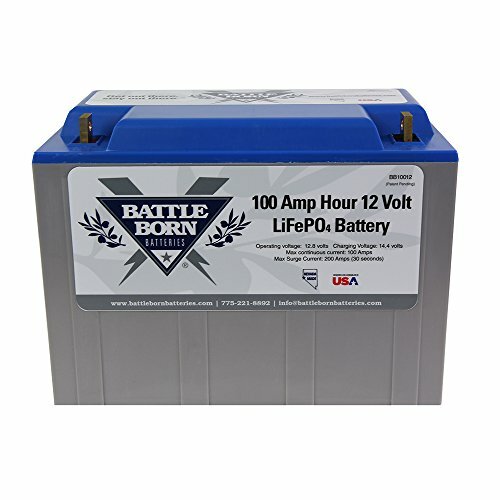 Battle Born is completely made by USA and genuine LiFePO4 chemistry battery. This high quality battery should be placed on first position although we placed it at number 8 position. Only one reason for it’s higher price people always want to buy low price high performing battery. We can say frankly this very very high quality battery with high price and has extra ordinary performance compared to other batteries on the market. This model of Battle Born battery is only 29 lbs weight which is awesome you will not get lighter than it and 100 Amp hours. 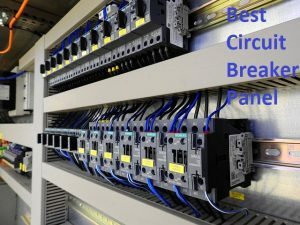 ​This super power battery has 3000-5000 cycles, 1000Amp continuous current and 200 Amp surge current for 30 seconds only 0.5 seconds surge for higher loads. ​​American people’s favorite choice because it is completely designed and assembled in the USA with LiFePO4. Battle Born 100% American designed and assembled battery has high performance and 5 to 10 times life span very ideal for Recreational Vehicle. Here is another our researchers found top class lithium battery Water blade brand 12volt rechargeable battery. Lithium battery is just awesome for long lasting strength and clean power supply. battery. Besides the battery is too light weight so that you can carry out easily and also charge it very quickly.The battery actually designed for golf cart, RV, marine and other electric vehicle when your need power to run. In short lithium battery one of the best on the market, if there is no issue with budget you can surely go with it. 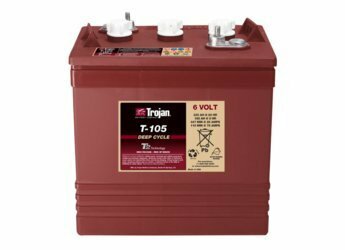 Trojan one of best 6volt deep cycle battery for your golf cart, RV, electric vehicle, marine or anything mobile. The company produce Trojan battery since 1952 that decades ago and they are creating high quality battery for vehicle. Whenever comes to the topic of deep cycle battery the main thing is how long it will span and how you have to maintain it. Trojan battery is maintenance free and longtime durable product which is incredible. It combines a thicker internal grid which creates high density to serve clean power energy. The battery is one of the popular deep cycle battery for RV because it provides clean power and reliable energy. The unit made of advanced technology so that you don’t have to worry about leakage or other problems. The Trojan battery is AGM battery which service life span is more than 10 years. Overall Trojan battery one of cool battery out in there, they have all categories like 6volt, 12volt, 24volt, just grab the thing what your device need. 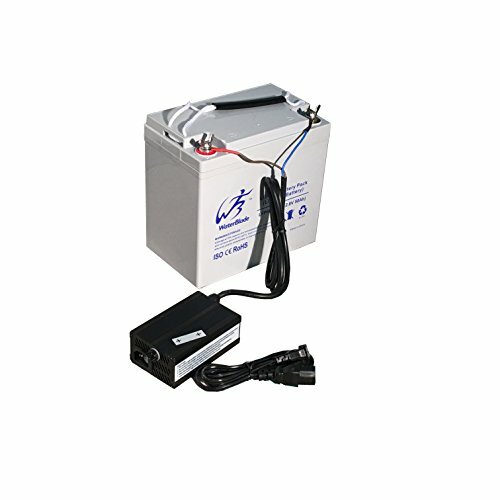 RV generator, portable camping refrigerators and RV deep cycle battery are important for RV user because when you go in a long trip you need best RV generator for back up power, portable fridge to cool down your food and taking care of your RV starting and power you need the best deep cycle battery to buy. You must consider following before buying RV deep cycle battery. a) Flooded lead acid deep cycle battery: Flooded lead acid deep cycle battery was very popular for off grid solar system as well as many other applications such as RV usage, golf cart etc purpose for 10-12 years ago. 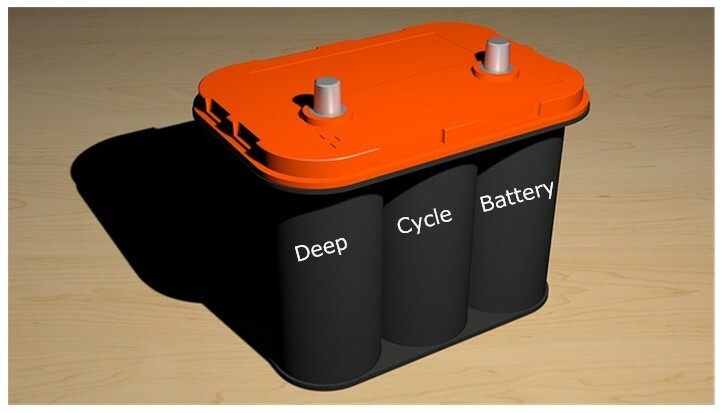 Flooded lead acid deep cycle batteries also called wet cells battery, these wet cells are battery plates are designed in two ways viz. 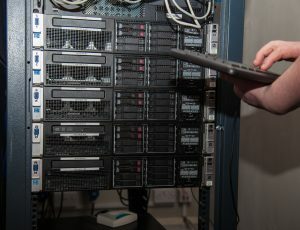 thin plates and deeper plates for two different reasons. Thin plates batteries are designed for starting supplying high current long a short time such as starting a car or vehicle needs more current to start up used thin plated deep cycle battery. Deeply coated plated deep cycle battery is designed heavily to supply high current for a longer time and it has higher charging and discharging capacity than thin plated deep cycle battery. Although thin platted deep cycle battery supplies huge amount of current for a short period such up to 30 seconds. Deeper plate deep cycle batteries are commonly used now a days and getting popularity for its high performance and high efficiency. It is also used now a days for various off grid purpose but day by day popularity going down for some major reasons. When the battery operates with electrolyte (acid) it emits volatile gas which is great problem for human and nature both. After a certain period the electrolyte acid becomes weak needs to add some watering opening the top requires maintenance. If the maintenance is regular the lead acid battery can be last up to 20 years which is huge life span but maintenance is big problem people remains busy who are using batteries have no time for maintenance. Another problem the battery should be placed safe area where people are far from the battery operation, no spill proof guarantee. In that case people are buying mostly AGM maintenance fee deep cycle battery. b) AGM deep cycle battery: AGM means Absorbed Glass Matt. ​In AGM deep cycle battery is also lead acid type battery where lead acid is the electrolyte is absorbed into a fiberglass mat so it called Absorbent Glass Matt battery. AGM battery is one type of valve regulated lead acid (VRLA) batteries which are sealed as leak proof, spill proof, mostly safest battery so people are fan of AGM batteries. 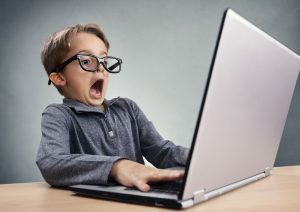 AGM batteries are great popular for many reasons mostly cost effective battery, if you buy flood lead acid battery it will give you panic making proper maintenance after 4-5 years later if you calculates the estimation of money you will get AGM is cost effective high performing and maintenance free battery which will release you from frequent maintenance. Low cost, high life span, safety usage make the people happy for using their application. Our recommendation is to use AGM deep cycle battery for your RV application is the perfect decision. 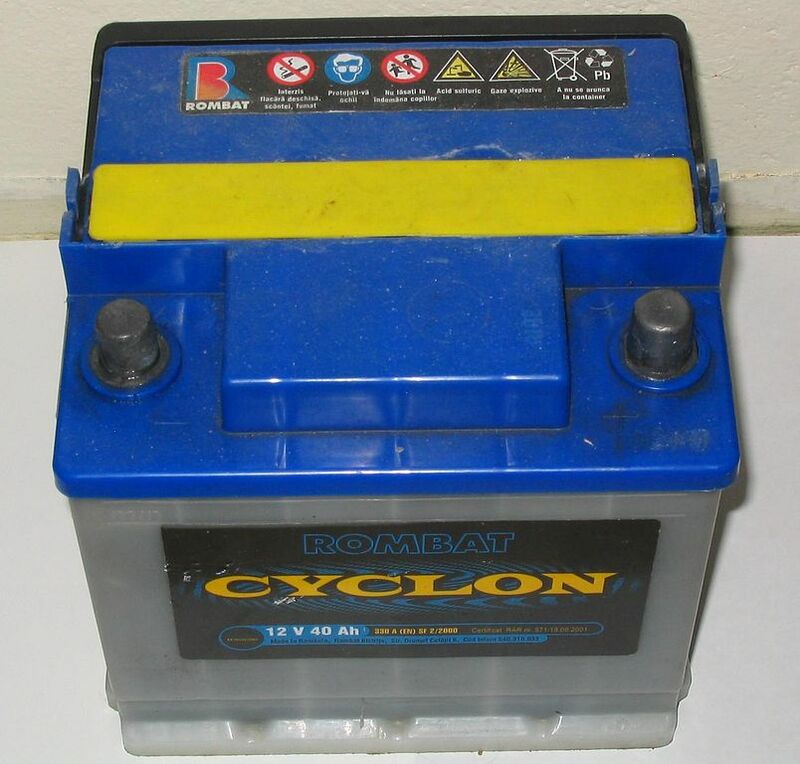 c) Deep Cycle Gel Batteries: Gel batteries are also one type VRLA battery using special gel agent inside the battery is famous for marine applications. Gel battery has a little bit longer life than AGM battery and also water proof so most boat, marine people use gel batteries on the water. ​Two problem with gel battery charging and discharging rate of gel batteries is low comparing AGM battery and second problem is it is little bit costly than AGM battery. 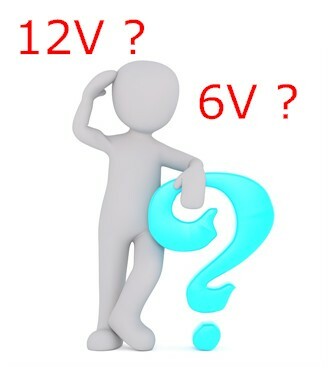 12V or 6V which one is the perfect for RV application? RV requires 12V battery commonly if you want to use 6V battery then you have to buy 2 batteries of 6V which is also expensive buying two batteries. If you buy 6V two batteries then connect in series to make it 12V battery. 12V single battery saves your money if the battery is designed and constructed well with the accurate material and performing well then 12V is perfect, inexpensive and hassle free. Our recommendation is 12V high quality AGM for RV deep cycle battery. Cold crank amp is the number of ampere the battery can deliver at 0 degree Fahrenheit for 30 seconds not going down below 7.2V. 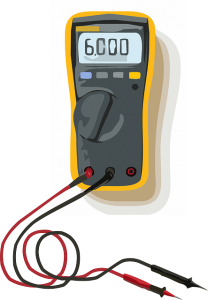 More cold crank amps means more ampere current the battery can produce for 30 seconds at 0 degree Fahrenheit. CCA rating is important for starting of a vehicle but not so important for deep cycle battery. More reserve capacity means more minutes your battery can save so try to buy the battery which has more reserve capacity. Can you use marine battery for your RV? The answer is yes you can but only use the marine AGM battery do not use gel battery for RV application. Most of the marine battery are Gel, Gel battery has some limitation such slow charging discharging process also have advantage water proof so no worry about wet. If you use AGM marine battery then it will be great for RV battery, most of the marine are using AGM battery for shorter recharging process so battery companies are making higher quality AGM batteries for marine. You can pick one 12V high quality marine battery without hesitation people are using marine battery on their RV and getting excellent result for high quality material. 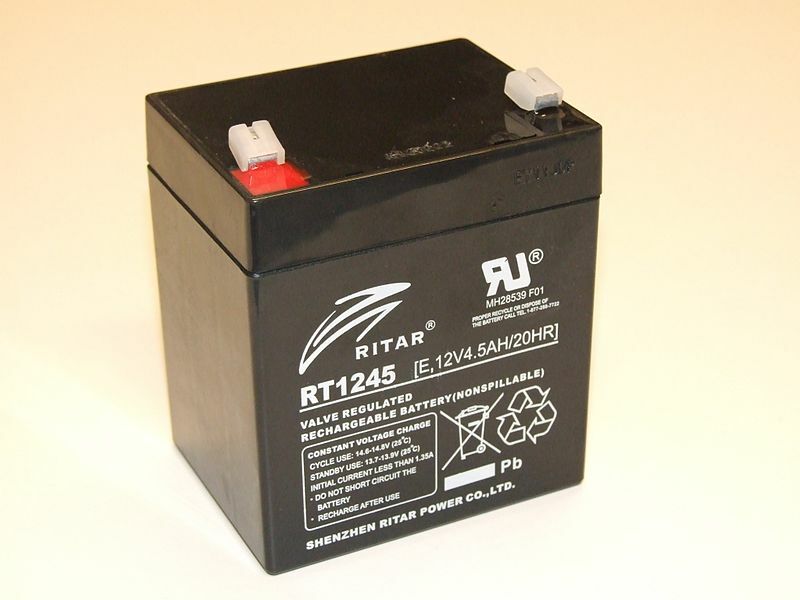 Life servicing time is an important consideration of buying RV battery. If you buy a battery which has low life span being damaged within 3 years is very bad your money goes in water completely loss project. Then you have to buy another battery to replace it normally lead acid battery goes 3-5 year with little bit maintenance and proper maintenance can be take it to 20 years but making such maintenance you will be tired and cannot manage time. ​Generally AGM and Gel batteries have high servicing life up to 5-10 year with low or no maintenance. Recommendation to go with AGM battery save your valuable time within the same time saving money also it will worth your every penny. 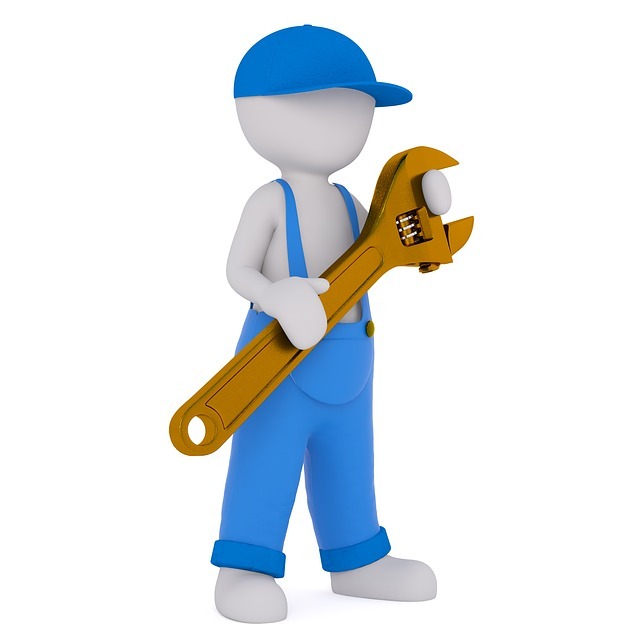 Maintenance is the painful and sometime risky job for the batteries. Sometime you have to time to do maintenance your battery but it needs in this situation you will feel how big trouble it is. Opening the upper top and checking the plates are OK or not for lead acid battery is properly needed after certain time regularly basis. If you slip your hand acid can be harm your skin so be careful before maintenance. Our suggestion is to go with AGM deep cycle RV battery which requires no maintenance. If you are in a place where you cannot do any maintenance your battery goes down how could you get out from this problem? Safety is the most important consideration above all for RV battery buying makes sure you are buying spill proof battery for your RV. 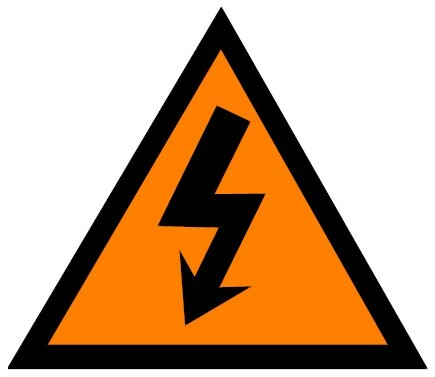 Lead acid battery emits harmful gas when it operates which dangerous for health and environment. AGM and Gel battery is designed in sealed VRLA technology which not emit any harmful gas can be placed the battery anywhere you want flexible tension free eco friendly batteries for your RV. AGM deep cycle RV batteries are also vibration resistant, Gel batteries are water proof which helps user experience. AGM battery is safe during cold and high temperature which is marvelous supplying constant performance as normal temperature. What is the difference between deep cycle battery and normal lead acid battery? Normal lead acid battery can drain high current for a shorter period to start the vehicle but cannot supply high current for longer period. Deep cycle battery can supply high current for longer period charging and discharging current also high in deep cycle battery but current not much high than lead acid battery. Normal lead acid battery need more maintenance than deep cycle battery watering acid water, cleaning plates etc proper maintenance needed. But now a days most cases deep cycle batteries are using in a great number for its reliability and high performance for longer period. Deep cycle battery is little bit costly than normal lead acid battery although it is reliable, high efficient so that most commonly using in off grid system such as solar system, marine, RV, golf carts etc purposes. 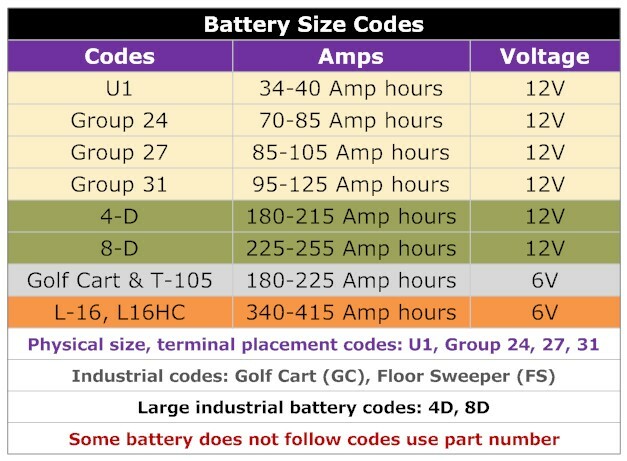 Battery codes are defined the size of battery physical size, terminal placement. It is not the battery capacity measurement codes it indicates where the battery is used for and where should be placed. Physical size defining battery codes are group U1, group 24, group 27, group 31 etc. The industrial batteries are designed defining part number such as “GC” for golf cart and “FS” for floor sweeper. Some battery does not follow any particular code number just added manufacture code for part number. 4D, 8D are the large industrial code of batteries commonly used for solar system on renewable energy. 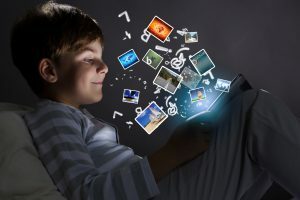 You can check out US consumer guideline.